A beautiful vintage pair of Birks Ellis Ryrie 14kt yellow gold cufflinks, set with 4 octagonal cut moss agate, approx. 7.04ct. 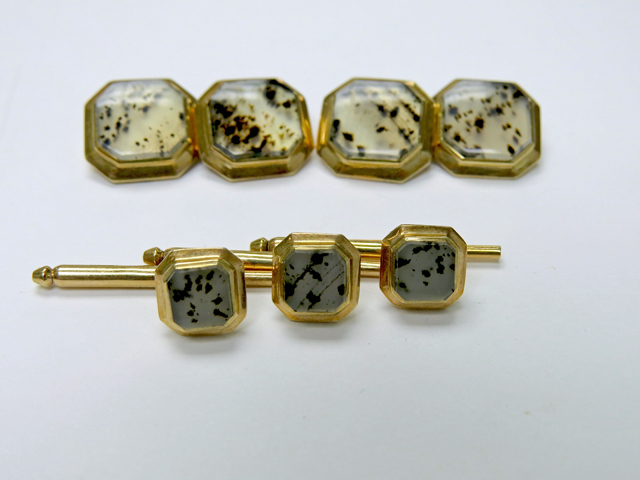 and 3 shirt studs with moss agate, approx. 1.53ct set in 10kt yellow gold.